Note – Giveaway has been closed and the winner announced! 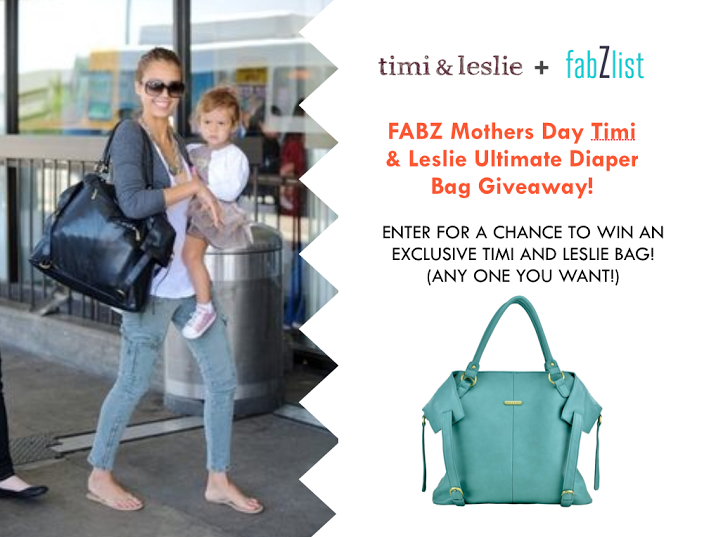 The creators of Timi and Leslie, in fact, revolutionized the diaper bag! With celebrity fans that include Angelina Jolie, Cindy Crawford, Courtney Cox Arquette, Nicole Kidman and Jessica Alba, Timi and Leslie have indeed converted the functional diaper bag into a style statement for moms worldwide! 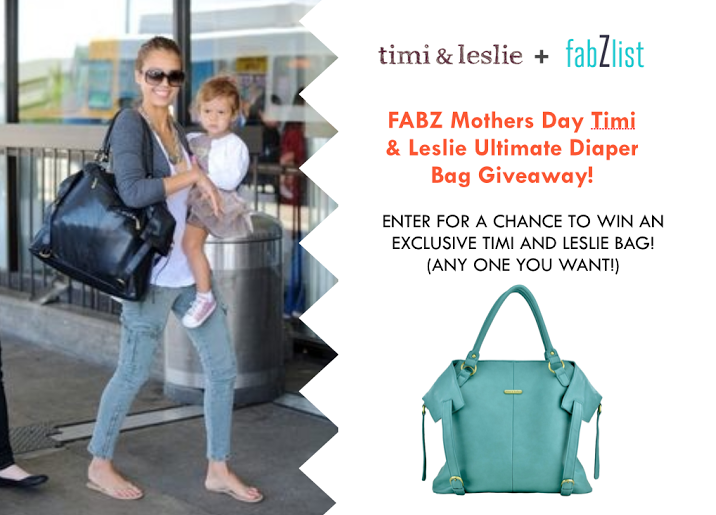 We at FabZlist love the Timi and Leslie diaper bag collection, and have been passionate users and fans of their products! If you are a parent who strongly feels that you don’t need to sacrifice style to get function, Timi and Leslie is the way to go as far as diaper bags are concerned! Here’s a look at some of their best and most popular bags, starting with the unbeatable Charlie! Can you not love the Charlie? Made with PVC-free vegan faux leather, these stylish bags also come with a stylish clutch that you can use as your purse (who wants to carry a purse and a bebe bag?) with interior credit card slots and an inside zipper pocket, two exterior pockets and six interior organizational pockets! And an inside key FOB to keep your keys safe! 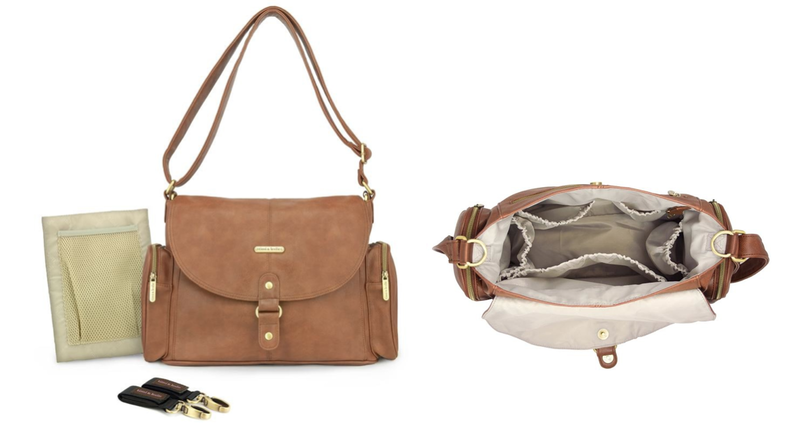 You can rest assured that you are fabulous with the ultra-sophisticated Madison Satchel! Made with PVC-free vegan faux leather, the Madison comes with a stylish clutch that you can use as your purse with interior credit card slots and an inside zipper pocket, three exterior pockets and six interior organizational pockets! Fab people, wear this bag if you don’t mind getting tons of compliments! Made with PVC-free vegan faux leather, these bags come with a stylish clutch that you can use as your purse with interior credit card slots and an inside zipper pocket, three exterior pockets and six interior organizational pockets! 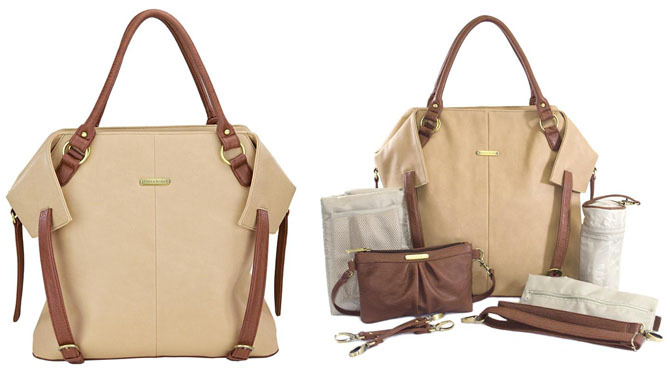 Channel timeless sophistication with the Classic Tote bag! 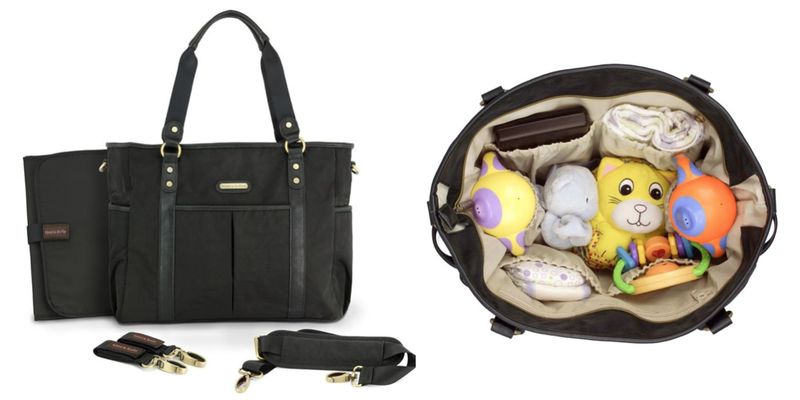 Made from smooth, durable nylon with PVC free vegan faux leather accents, the Classic Tote bag has a roomy interior with multiple compartments to fit all of your and baby’s essentials. Be sophisticated and organized with the Metro Messenger bag! Made from PVC free vegan faux leather, the Metro Messenger bag has a roomy interior with multiple compartments to fit all of your and baby’s essentials. They come with 3 outside pockets, including 2 insulated side pockets to keep baby’s bottles warm or cool, and 6 inside organizational pockets.